Guest Blog from Angela Wheeler, BI tutor from New Zealand. In BCST we are always going on about orientating to health. Why is this so important and so effective in healing? What is the mechanism behind it? This is a question that Russian scientist- Professor Peter Gariaev and his team at the Quantum Genetics Institute in Moscow have been working on (link). They have been using Linguistic Wave genetics to induce the production of new, healthy tissue in previously diseased tissue. This is done by passing a laser (produced by a quantum bio-computer) though healthy tissue and ‘collecting,’ then converting the imprinted laser beams to electromagnetic (EM) fields and audio waves. These fields/waves are then introduced into diseased tissue. The result is the diseased cells replicate with the pattern of the healthy DNA, effectively eradicating the diseased tissue! The experiments in 2001-2005 used rats, but now they are using human examples of how this drug-free therapy replaces disease for health. The rat experiments where done by taking a large group of rats and poisoning their pancreases with a chemical. This resulted in diabetic rats which would die within 3-4 days of insulin deficiency. The rats were then divided into a control group (no treatment) and the test group who were subjected to the EM field/audio waves collected from a healthy rat pancreas. These waves contained recorded quantum information emitted by the health tissue’s DNA. All of the control group died, but 98% of the test group recovered with completely healed pancreases! There are a number of theories which have helped form this research. It has now been proven (Dr. Vladimir Poponin – link) that in a vacuum container, photons (the elementary quantum particles of light) spin randomly around. If a strand of DNA is introduced into the vacuum container, the photons line themselves up along the length of the double helix DNA. On removing the DNA strand, the photons remain in the double helix configuration, thus acting as a blueprint for the DNA it was in contact with. This is called the DNA Phantom effect. 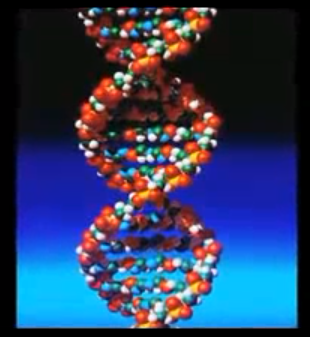 Proffessor Simon Berkovich (link) has postulated that DNA acts as a barcode reader for the universal/cosmic hologram. This means the 98% of ‘junk’ DNA (only 2% is found to be related to direct translation into RNA then proteins), is not junk at all and nature hasn’t been foolishly making excess DNA than what was required! 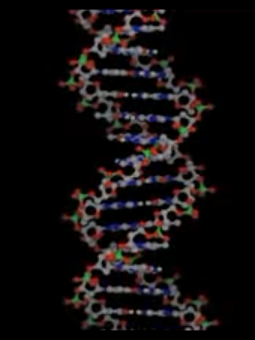 This ‘junk’ DNA acts like a barcode transcriber for the universal hologram, producing information/data which expresses the universal hologram specifically according to the barcode. (From the whole, the specific is formed, yet still contains the whole). So what this tells us is that photons can memorize and transcribe DNA information. It was Gariaev who took this one step further to show that this transcribed information can then be collected, converted into a transmittable form which could then be used to program stem cells with different DNA in same species tissue. What is even more fascinating is that Gariaev’s experiments worked in distances from a few centimetres to up to 20k away- that’s the whole time and space (quantum non-locality) adding to the equation! How does this relate to BCST? Humans are huge electromagnetic field beings and through linguistic wave genetics we know that our DNA has a specific language which is transmitted via sound/acoustic waves as well as EM fields. It has been shown by Dr John Zimmerman (Riete & Zimmerman 1978) that the hands of practitioners of healing therapies emit wavelengths of between 0.3-30 Hz (mostly in the 7-8 Hz range). Could it be, that the BCST practitioner uses their hands as a wave-inducing mechanism within the cells of the client’s body? If this is so and the practitioner orientates first and foremost to the health of the client, could this be acting in a similar way to the quantum bio-computer? When the practitioner then brings the relationship of health to disease/disfunction, the body can then re-orientate to health. Is this change effected in the reprogramming of the client’s DNA? All interesting questions! What can be taken from this is that orientation to health in a BCST session is more than just a resource and a reformation of relationships within the client’s system; it allows a change to occur at the deepest level in a fundamental way.